While almost anyone can design a website these days, making a good website is a far greater challenge. True, the advent of all-in-one content management systems like WordPress and website builders such as Wix have helped to put website creation into just about anyone’s hands, that doesn’t mean that all sites are created equal! Even though they may look similar on the surface, there’s a big difference between a website that works –and one that doesn’t. What am I talking about? Conversion rates, of course. A website should do a lot more than sit there and look pretty. What every business should be striving for is a site that’s effective at moving visitors down the sales funnel. And with an audience that has more choice, and shorter attention spans than ever before, working to claim your visitors’ attention should be a top priority. When it comes to effective web design, it’s no longer enough to have the basic design elements in place. 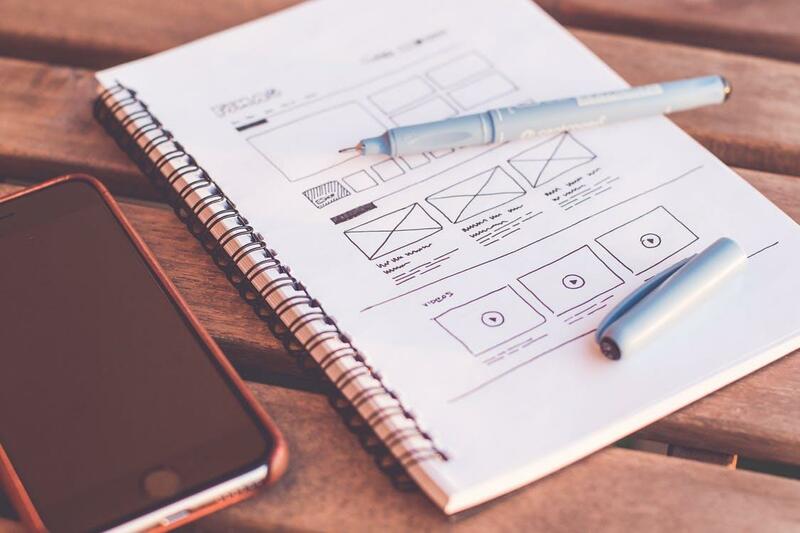 Whether you’re thinking about creating an e-commerce site or looking for ideas on improving, and upgrading your current website, here’s a look at a few things that you’ll want to think about incorporating into your design –if you haven’t done so already! Read on to see how you can get a winning website, that’s designed to convert. Just a few years ago this wasn’t on the radar for most web-designers, but today it’s expected that your website is optimized for mobile devices. With more and more people turning to their phones for product searches, it’s more important than ever for your website to be mobile-ready. Some 53 percent of mobile users will abandon a site that doesn’t load within three seconds, and if you haven’t captured their attention in that time, you’ll have lost them. So while flashy animation and auto-play videos might look nice, they don’t always work as well on mobile devices, and can slow down load time. Remember, people turn to the internet for ease of use, not an arduous journey. Make the sale by making sure your website loads –promptly. One of the most often-overlooked pieces of information on a website is contact information. No one should have to embark on a research project to find out how to contact you. Make your contact information readily available to your customers, and offer them a variety of different channels to reach you on. Web chat is quickly becoming a must-have feature on websites today, with customers increasingly coming to expect it. It’s also a preferred contact method for many, with a staggering 42 perent of customers stating that they prefer live chat, compared to just 23 percent for email, and 16 percent for social media or forums. Security is, without a doubt, important. And having a security badge visible during the checkout process can help to give people peace of mind to go through with their purchases. 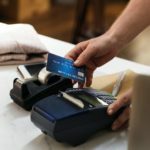 I personally have found that having a Norton security badge on my checkout page led to an 18 percent increase in revenue, and a 23.9 percent increase in completed carts! The results may be different for you, but I’d say that’s a big return for such a simple change. Your customers might not grade your website on whether you have your social media accounts linked up on your product pages, but it’s a good idea nonetheless. Not only does it make it easier for people to share your content or products on their social media accounts, but it also helps to add a measure of credibility to your company as well. 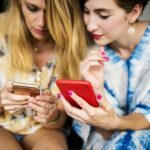 One example of social media integration is an approach that’s being used by savvy clothing retailers and other e-commerce stores with a sizable fanbase. UK-based lifestyle and clothing company FatFace encourages their fans to upload images of themselves wearing their favorite FatFace gear, using the hashtag #fatfaceadventures. The images can come from Instagram, Facebook, or even their computer. They’re then displayed prominently on FatFace’s website. You could take a similar approach, by having a slideshow feed on your website, that takes images from your company’s Instagram profile. Or, you could take things a step farther and follow in the footsteps of companies like StyleRunner, with their “Shop Our Instagram” page that features on their website. Another use of social integration is allowing your visitors to login via their social media accounts, rather than forcing them to create a whole new account for your website. Since 73 percent of users prefer to log into a site with social login, this could be a good way to increase your conversion rate for user registrations. Are FAQ pages still in use? Yes! 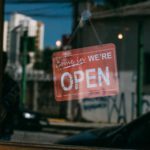 These pages can be a tremendously valuable resource for prospective customers who may be on the fence about your products. They’re also invaluable for software companies –or anyone with a product that may require a user’s manual. An FAQ page can help to simplify the purchasing process and reduce the number of phone calls to tech support. Here’s a look at some FAQ pages done right. Having a speedy website is absolutely crucial –and this includes mobile load time. The average time it takes to fully load a mobile landing page is 22 seconds, yet as we saw earlier, 53 percent of visits are abandoned if a mobile site ends up taking longer than three seconds to load. Don’t lose out on visitors, simplify your site, improve the speed, and keep your customers. If you have a website, you’ll want to ensure that the content you create for it is relevant; the kind that speaks to your potential customers. Before you embark on a content strategy, it’s important to put yourself in your target audience’s shoes, and ask yourself what type of things they’re interested in. Being able to address their concerns, questions, and pain-points can help you to create content that draws them in by appealing to them –or helping them in some way. Finally, make sure your website’s ready for search engines too. By optimizing for search, you’ll be able to increase your chances of appearing on the first page of search engine results pages. 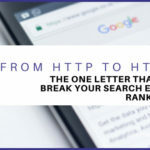 With relevant keywords, the right links, and social media signals, as well as meta tags and meta descriptions for all of your images and pages, Google will be far more likely to rank your site higher. Ok, now that we’ve seen some non-negotiable elements that every website really needs to have, let’s take a quick look at a few modern design elements and trends that are being used in a number of websites today. Here are a few tips for creating a sleek, modern site that’s in sync with the times! Get our Website Design Worksheet delivered right to your inbox. Red Bull, Calvin Klein, Gillette –the list of companies with a trademark modern font goes on and on. And clever use of typography can be seen across many websites today –particularly in the header. Having a unique and signature font can give your company a distinct, modern feel and can also help to differentiate you from your competitors. And with so many different options available today, finding a fitting font is easier than ever. If you’re in need of a trademark font face for your company, take a look at 50 Modern Fonts to Give Your Designs a Contemporary Feeling, or browse through the longstanding font website, DaFont. Most of the best websites today recognize that they only have a matter of seconds to capture a prospective customer’s attention and draw them in. As such, eye-catching, oversized headers that are designed to elicit a response are quickly becoming standard on many sites today. These headers translate well across both mobiles and desktops. Other popular header designs today include sliding images, video backgrounds, animation, and more. Some headers even include hidden navigation, while General Electric’s website header even features an interactive search bar. There’s no shortage of ways that you can create amazing –and intentional headers –ones that prompt the visitor to take a specific course of action. Video is becoming an increasingly important part of purchase decisions. Nearly three quarters of consumers are more likely to purchase a product or service if they’re able to watch a video explaining it beforehand. It makes sense then, to create videos that explain your products and expound upon their benefits, to help influence your buyers’ decision-making process. Short product videos, case studies, and more all feature on websites today. These videos can be used to highlight a specific use for a product, showcase someone’s personal experience with a product, and more. Short product videos, case studies, and more all feature on websites today. These videos can be used to highlight a specific use for a product, showcase someone’s personal experience with a product, and more. Short and sweet is key for most website videos, as your goal should be to help your visitors to quickly understand what you have to offer. Short is especially ideal for reaching top-of-funnel prospects who may not quite be ready to make a purchase. Another helpful website feature that can be useful for prospective customers is a cost calculator. 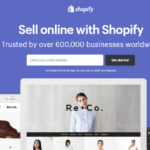 This feature makes it easier for your visitors to see for themselves if they can realistically purchase the product you’re offering. One example of a cost calculator is found on Bayswater Car Rental. This feature allows customers to choose their car, adjust the fuel cost, and map out their route. It’ll show them the cost of fuel for the trip and makes it easy for them to book their vehicle –a smart way to provide prospective customers with information that they need to move forward with their booking. Or consider property management company, Renters Warehouse. 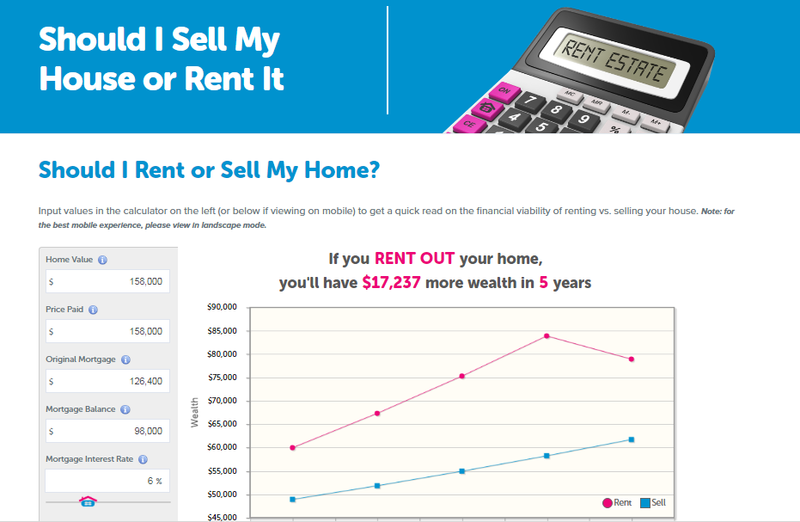 Their calculator allows landlords to calculate whether it makes more financial sense to rent out or sell their home. A valuable tool, and simple way to weed through prospects, and help increase conversions. Believe it or not, contact pages just might be the most valuable page on your website. If someone’s interested enough to reach out to you, there’s a good chance that they’re lower in the sales funnel and seriously thinking about buying. Instead of just having a page with some different options for getting in touch, consider investing in a few features that’ll add value to your contact form. The best forms explain why someone should contact them, include an email and phone number, have a call-to-action to keep people on the website, link to social media accounts, and redirect to a thank-you page. Take a look at some of these gems by Achieve 3000, Elluminati, and Survicate –all featured in HubSpot’s round-up of best contact pages. HubSpot even allows you to create smart contact forms that vary according to visitor type. You can set different forms to target visitors based on their device, country, referral source, lifecycle stage, and more. A valuable way to make the contact experience far better! As video continues to grow in popularity, publishing Behind-the-Scenes (BTS) videos is a great way to give your potential customers an exclusive insider’s look at your company. This could include everything from videos on “Meet the team member,” to “A day in the life of” features. Here’s a quick look at some tips for creating BTS videos. Large, detailed product images are where it’s at. Many websites today are beginning to display large images to highlight different product features. Large photos allow you to give visitors who may be on the fence, more info on a product’s features. Detailed images can also help to prevent disappointment when a customer orders something that turns out to be different from what they were expecting. People want to support causes that are important to them, to be a part of something more than themselves. In fact, the number of consumers who say they would switch from one brand to another if the other brand were associated with a good cause has climbed to 87 percent, according to a Cone Cause Evolution Survey. Smart companies today are recognize this, and strive to form charitable alliances. This is known as “cause marketing,” and it’s becoming increasingly popular. Check out these examples of unlikely yet winning partnerships. You can show your company’s charitable inclinations by teaming up with a charity or cause and displaying your connection on your website, or even by simply creating a blog post that shares what your company is doing to support a cause –and linking to it from your front page. 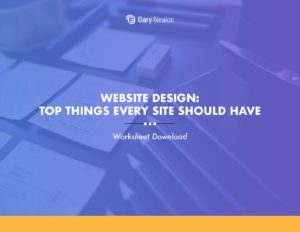 Finally, while we’ve seen a lot of different approaches and features that you can incorporate into your website today, it’s important to remember that a well-designed site doesn’t have to be the flashiest one on the block. The best ones are designed with ease of use, simple navigation, and responsiveness in mind. All of the extra bells and whistles can be added on an as-needed basis to help improve your visitors’ experience. Which features do you feel are indispensable for websites today? Previous Previous post: My new book is finally here!